Hearth / No One Builds a Better Fire: Heat & Glo Gas Stoves. No One Builds a Better Fire: Heat & Glo Gas Stoves. Heat & Glo is an innovative leader in technology, design and safety to give you the ultimate fireside experience. 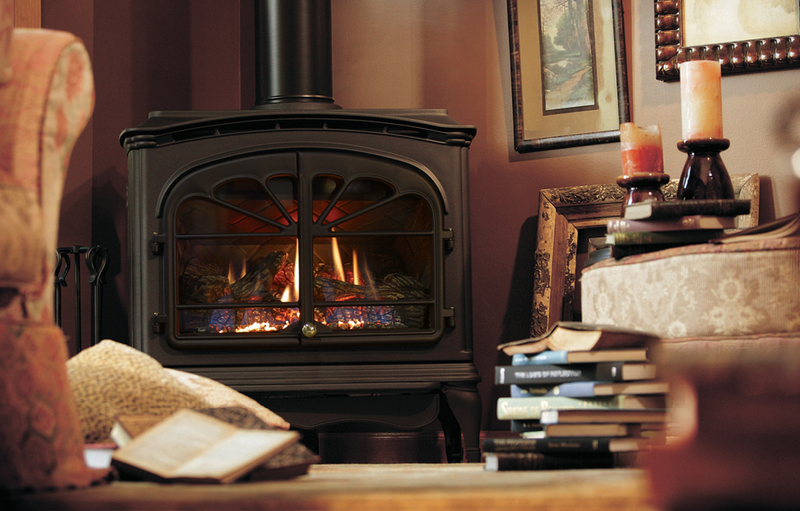 Their gas stoves offer clean, high-efficiency heating while creating a rustic and inviting atmosphere. 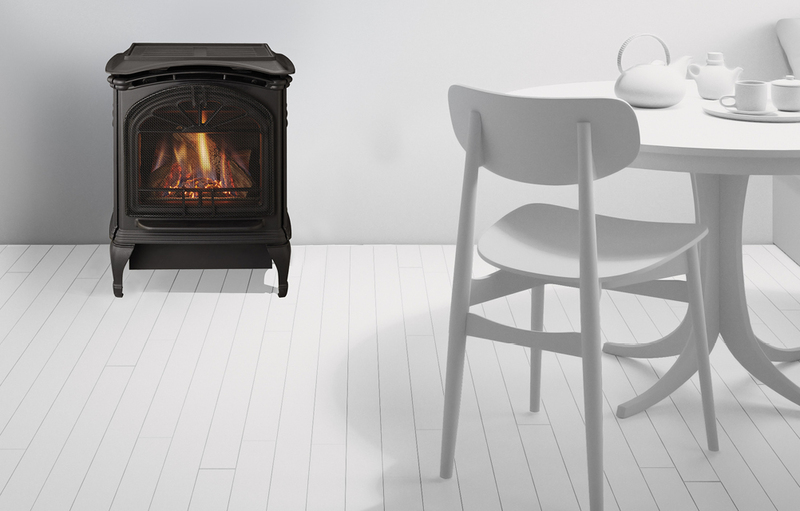 From traditional to contemporary, these powerful, beautifully designed stoves fit seamlessly with any décor. Visit our main showroom today… find your perfect model and transform your living space. Modern European styling made from steel to provide long-term durability. At home uptown, downtown, and everywhere in between. The Paloma takes a whole new approach to functional modern design. 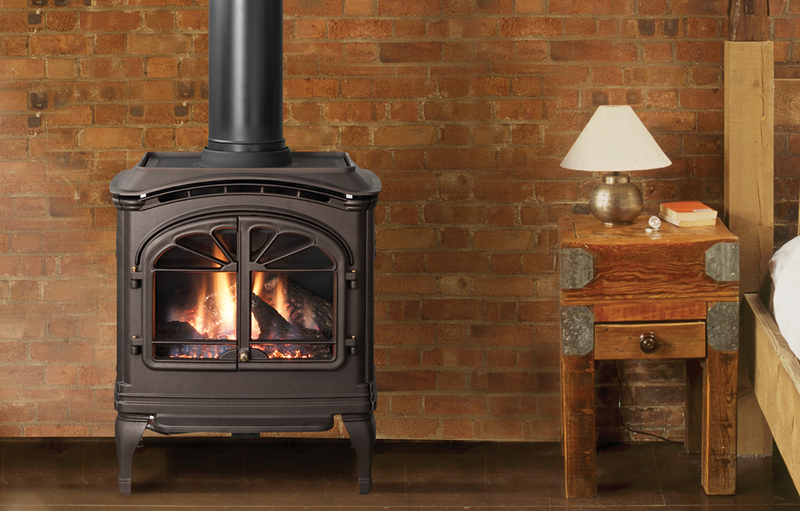 Shown: Black-Paloma with bronze-tinted outer glass front & hearth pad and safety screen. The Paloma comes with a Smart-Stat Remote Control. An added level of function and convenience with or without line power. Battery-powered or hardwired receiver. Includes: on/off, temperature readout, thermostat mode, timer mode. See finish options, hearth pad options, and more. Classic style. Efficient heating. Durable cast iron construction. 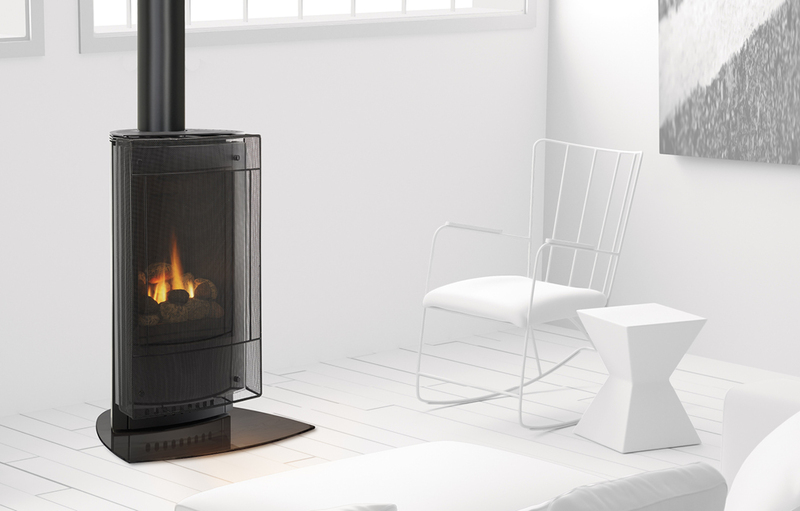 The Tiara Series brings the timeless appeal of a burning stove into a new age. Heat & Glo’s three Tiara stove models provide high-efficiency performance. And the right heat for the right space. From vibrant flames to detailed logs. Intricate castings to textured brick interiors. There is attention to every last detail. The results, are dramatic. Shown top to bottom: Tiara I, Tiara II and Tiara Petite. See finish options and more.